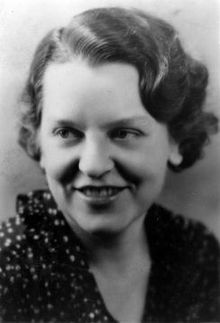 About the authors: Here is a Wikipedia article about Gwen Bristow and her husband, Bruce Manning. They also authored three other novels in the Mystery League series (The Gutenberg Murders, Two and Two Make Twenty-Two, and The Mardi Gras Murders). Major characters: See list below. 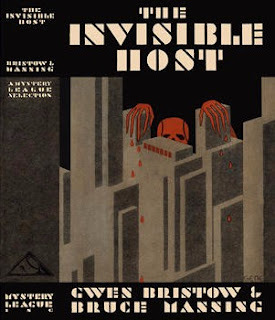 This Wikipedia article summarizes the plot as follows: The Invisible Host tells the story of eight people who are summoned to a deserted, well-appointed New Orleans penthouse by an anonymous invitation. Once there the guests, who are all known to each other, are served a fabulous dinner. But soon thereafter, they are accused by a voice over the radio that they are all going to die before the night is out. The unseen host has meticulously prepared the demise of each guest, and has booby-trapped the penthouse to prevent anyone from escaping. As they steadily succumb to the murderer's devices, some begin to suspect that the killer may be one of them. This novel was turned into the 1934 movie, The Ninth Guest.